Thanks for notify us about Ad ID : 338188. 2BHK Flats in Zirakpur Savitry Greens 2 Near Chandigarh Airport Constituted with perfect location Nestled in Zirakpur Prime location, this township provides an easy access to a various facilities like International Airport, World Class S h o p p i n g & H o s p i t a l i t y. 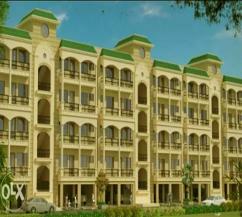 2BHK Flats in Zirakpur Savitry Greens 2 Spread over 26 acres, in the strategic location of the Chandigarh-Ambala Highway. A perfect earthquake resistant structure with modern electric architecture to add grandeur. Intelligent design and usage of space ensuring enhanced ventilation and ample natural light.